An inside look at the humble beginnings of Chris-Craft. 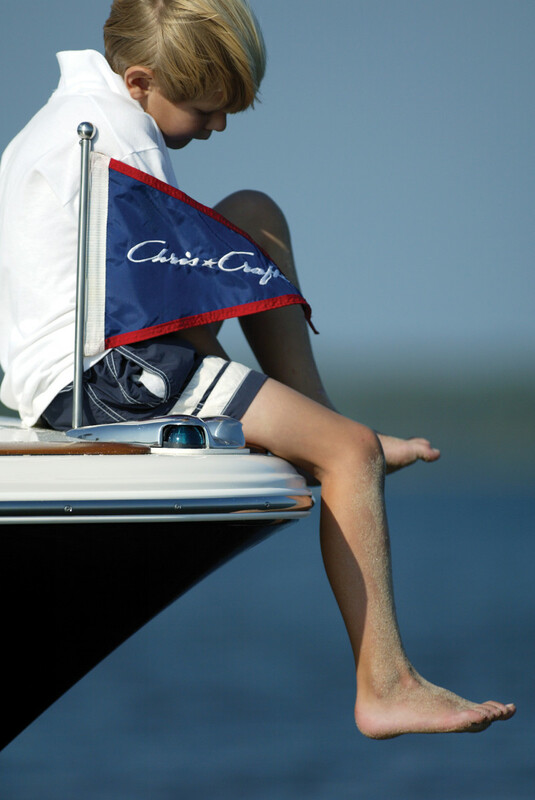 With striking lines and style that exudes Americana, the Chris-Craft line has become a global force. We look back at the brand’s humble beginnings. As a young boy, Chris-Craft founder Chris Smith was interested in duck hunting and carved his own decoys out of wood, which likely nurtured his interest in building boats. He built his very first boat, along with his brother, Henry, in 1874. It was a modest 13-foot skiff, but this first experience was the beginning of what became one of the greatest boating empires in the world. The two brothers went on to build canoes and duck boats and became avid duck hunters and sportsmen. These small boats had no motors and could be rowed or pushed along the seabed with a pole. The resourceful brothers of modest means then started a small business supplying fresh ducks to local restaurants and markets in Detroit. The Smith brothers slowly expanded their boatbuilding operation; they opened a small boathouse along the waterfront in Algonac, Michigan, and formed the Smith Brothers Boat Builders, which served a local clientele. Henry ended up being more interested in duck hunting and growing a business around that sport, so he left boatbuilding altogether. Chris went on as the sole proprietor, and the company’s name was formally changed to C. C. Smith, Boat Builder. Smith grew his fledgling company by building canoes, skiffs and small runabouts powered by gasoline motors. Of all the different styles of boats that Smith was producing he was most interested in the runabouts. He was interested in racing and was determined to build his boats to move faster and faster. He had a natural eye for hull design. He would first make a small wooden model of the hull, then study and adjust its lines carefully, and finally build the actual full-sized boat. Smith received his first order for a race boat in 1905. Named Dart and built for Algonac businessman Neil McMillan, the boat could fly across the water at an astounding 25 mph. This was the beginning of what became an illustrious career in building race boats. As gasoline engines continued to improve and become more reliable, Smith too improved his boats by refining their design, modifying the pitch in their propellers and shifting weight—all with the goal of increased speed. Smith even began modifying stock engines and eventually started building his own motors. 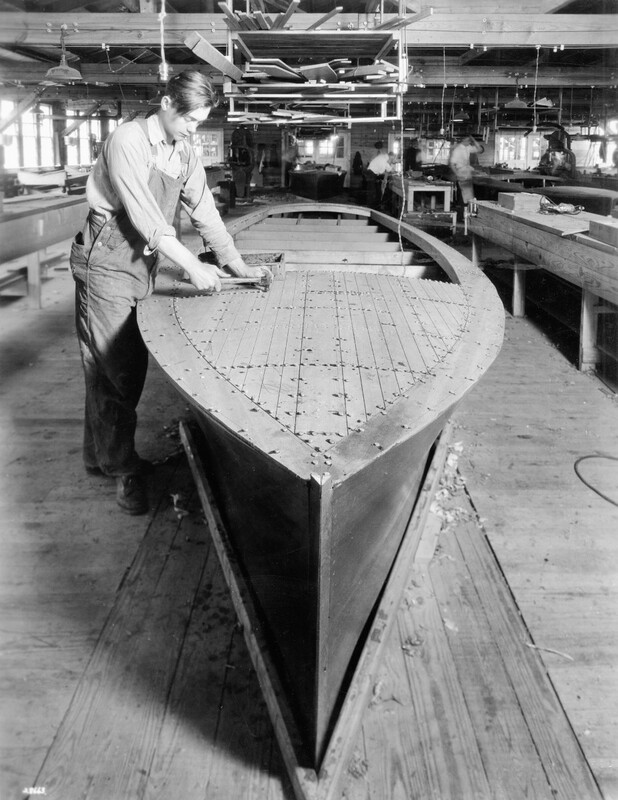 The smell of sawdust filled the Chris-Craft plant in Algonac, Michigan, in the late 1920s. The company would start experimenting with fiberglass in the 50s. Smith received an order for a race boat from Cincinnati businessman John Ryan, a wealthy individual who wanted to beat McMillan’s Dart in races along the St. Clair River and was willing to spend a lot of money to do so. Smith and Ryan conceived the Reliance I and Reliance II, which made top speeds of 28 and 31 miles per hour respectively. These speeds may seem insignificant by today’s standards, but they were record-breaking in the early 1900s. Ryan had been bitten by the racing bug after several wins, and was also interested in building runabouts for a wider market. In 1910 Smith and Ryan went into business together and formed the Smith-Ryan Boat Company. 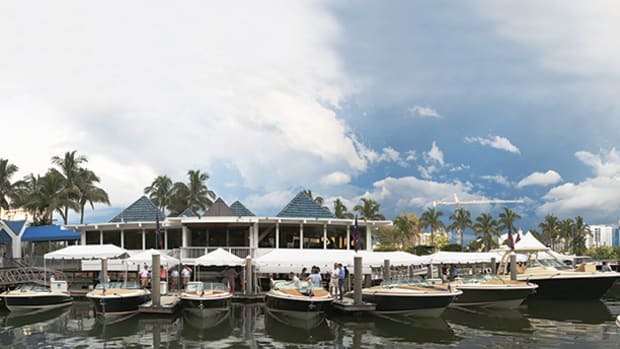 Ryan’s capital infusion allowed the company to not only continue developing its race boats, but also begin building boats for the general public. The boats made by the young company were some of the fastest in the world at the time. Ryan continued to develop his racing program and since he was an owner of the company he did not have to immediately pay for his boats. Unfortunately, his spending habits left him practically bankrupt. His large debts to the Smith-Ryan Company could not be paid, and the two men dissolved their partnership. Not long after, industrialist Garfield “Gar” Wood entered the racing scene by purchasing the Miss Detroit syndicate, which was a fast race boat built by Smith. Wood too became intrigued by this sport and also boatbuilding in general. He purchased Smith’s company, and Smith and his sons stayed on to manage the business. They built boats for a very wealthy clientele, and they traveled the world together setting new records and selling boats. By the early 1920s, Smith’s sons Jay and Bernard convinced their father that it was time to break away from Wood and go back to running a family business. The Smith family purchased 20 acres of waterfront land in Algonac and formed the new Chris Smith & Sons Boat Company. Instead of catering to wealthy sportsmen who wanted custom race boats, they decided to follow the lead of Henry Ford and build standardized boats for a larger audience at reasonable prices. The Smiths got a boost to their young business when they received a contract from Wood to build hulls for his own company. 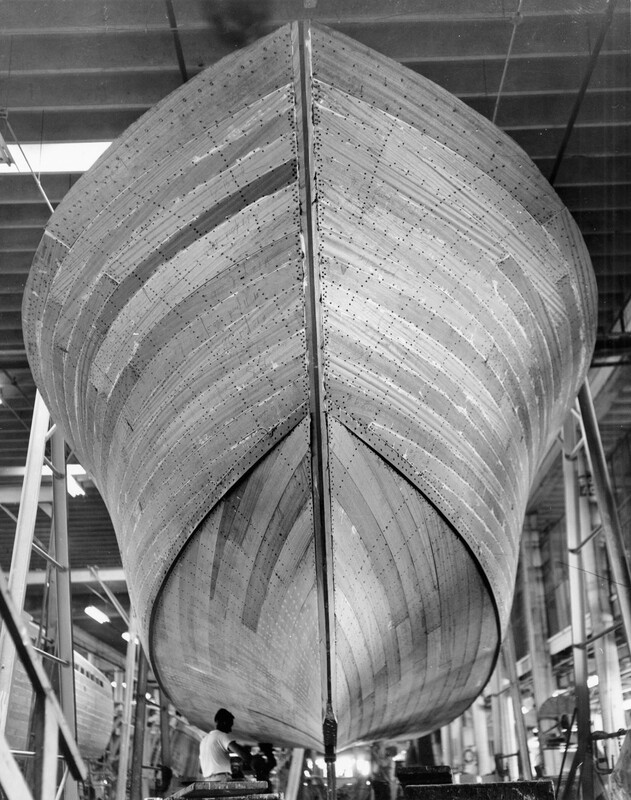 The order for 33-foot “Baby Gar” hulls, as well as repair and modification work to Wood’s race boats, allowed the Smiths to hire approximately 30 men for the factory and keep the business running in its early days. This arrangement worked well for several years, but then it became clear that the orders for Wood, which generated little profit, were an encumbrance to growing Chris Smith’s own business. Wood also became frustrated with the relationship, as his own orders were not given top priority. The two men decided to end their working relationship. The Smiths continued to build their reasonably priced runabouts, and in 1925 produced 111 units in a single year. 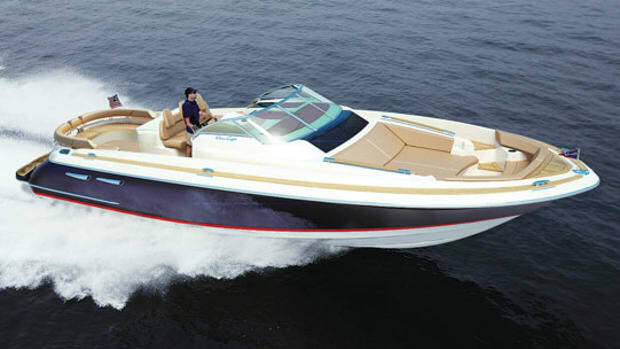 Jay Smith had the idea to name a special model a “Chris-Craft” after his father. 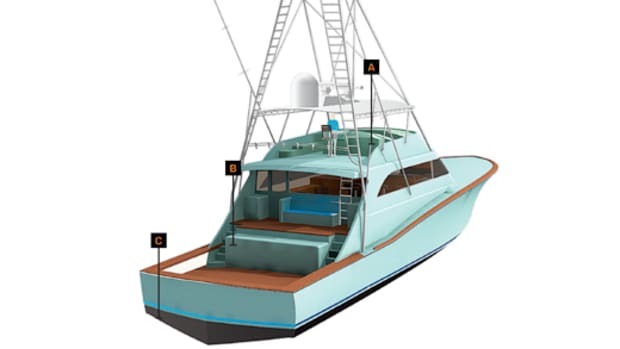 Soon after, all boats built by the Chris Smith & Sons Boat Company were known as Chris-Crafts. 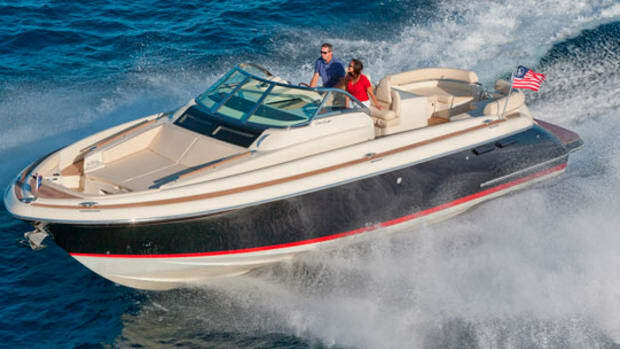 The new boats quickly became popular and the company could not keep up with demand. Smith began to build his boats for the first time with an assembly line modeled after the automobile industry. This process allowed his skilled craftsmen to focus on one specific task that they could perfect. In 1926, Chris Smith & Sons began to establish a small dealership network to market and sell the boats, instead of selling directly from the factory to the consumer. The company grew rapidly; by the end of the 1920s, the Smiths were building approximately 1,000 boats per year, which generated more than $3 million in sales. To help attract customers, Smith was a pioneer in offering a deferred payment plan, which allowed purchasers to receive delivery on a boat and make payments over 12 months through a local bank he had secured. The company had become very profitable, in fact making a $300,000 profit in 1929. The factory was now under year-round operation, and yet it still had a backlog of orders. To help streamline components and alleviate some of his production burden, Smith turned to Walter Chrysler of the Chrysler Corporation to provide motors for a portion of his boats. 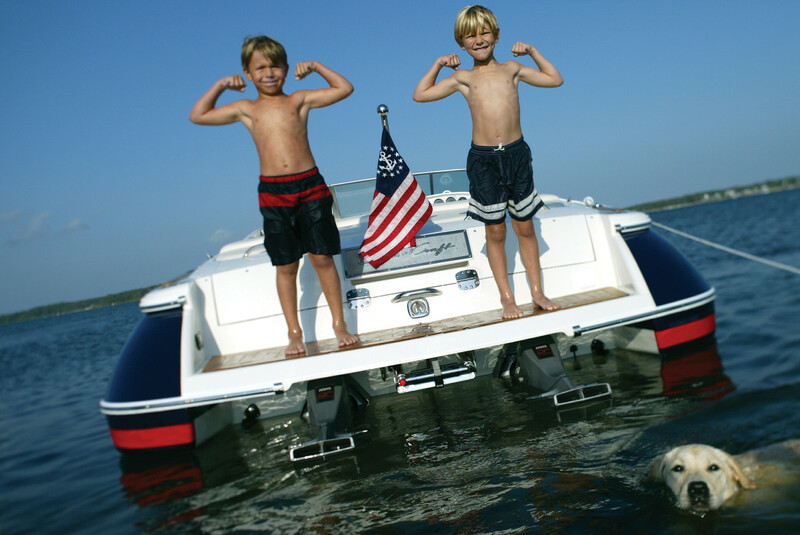 A new Chrysler Imperial marine engine was developed for use in Chris-Craft boats. Not only did this arrangement allow the Smiths quick access to engine inventory, but Chrysler also had a global dealer and parts network that was beneficial to Chris-Craft customers. 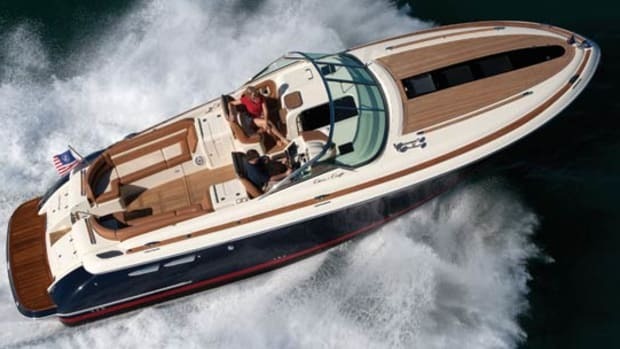 Chrysler was also eager to enter the partnership, as it gave the carmaker access to the burgeoning boating business that he coveted. 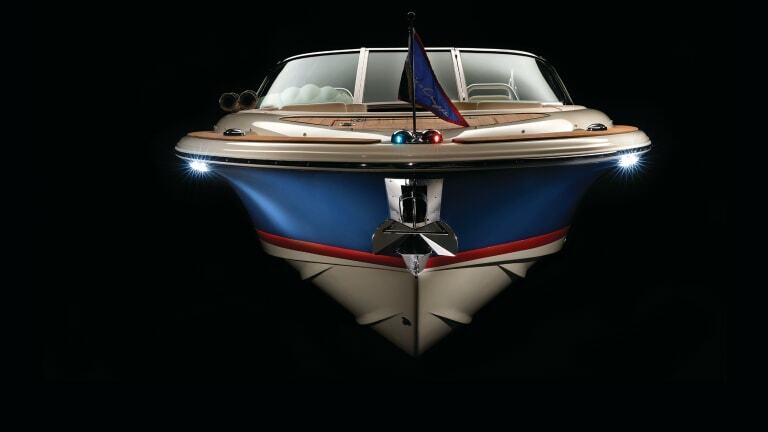 Despite the company’s focus on building boats designed for the everyday person, interest in the beautiful, varnished mahogany Chris-Craft boats began attracting celebrity and wealthy clients. Soon the Astors, Morgans, Vanderbilts, DuPonts, Firestones and Wrigleys all owned Chris-Craft boats. 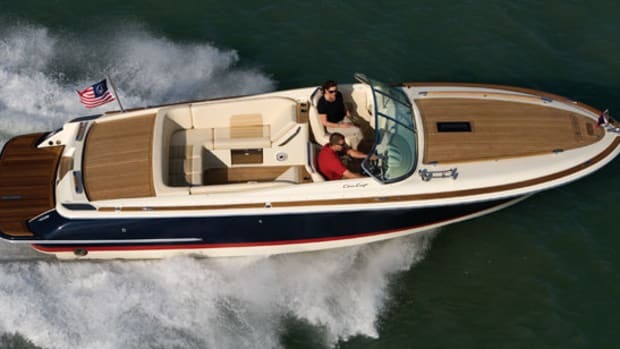 To stay lean during the early 1930s, Chris-Craft trimmed its product line and offered stripped-down versions of its runabouts. It coined the name “utility” to describe the less-expensive models that lacked many of the luxury features found on sisterships. The company cut staff and reverted to part-time hours to keep the business afloat. 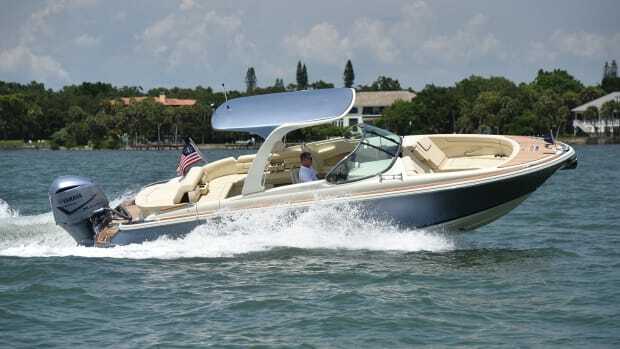 It also introduced a small 15½-foot runabout that was sold for $795 to help attract more entry-level boaters. The company began to thrive once again by 1936. It soon began to offer “cruisers” with overnight accommodations, and its product range grew. By 1937 the company offered a staggering 97 different models. The close of the decade came with both joy and sadness. The company was once again on an upswing with strong sales, and Jay Smith had secured the purchase of a 22-acre facility in Holland, Michigan, for additional production space. But Chris Smith, the man responsible for the birth of Chris-Craft, passed away on September 9, 1939, at age 78. Smith had built a legacy that would go on for generations and shape the boating industry for decades to come. Reprinted with permission from Chris-Craft Boats: An American Classic by Nick -Voulgaris III, Rizzoli, 2018.